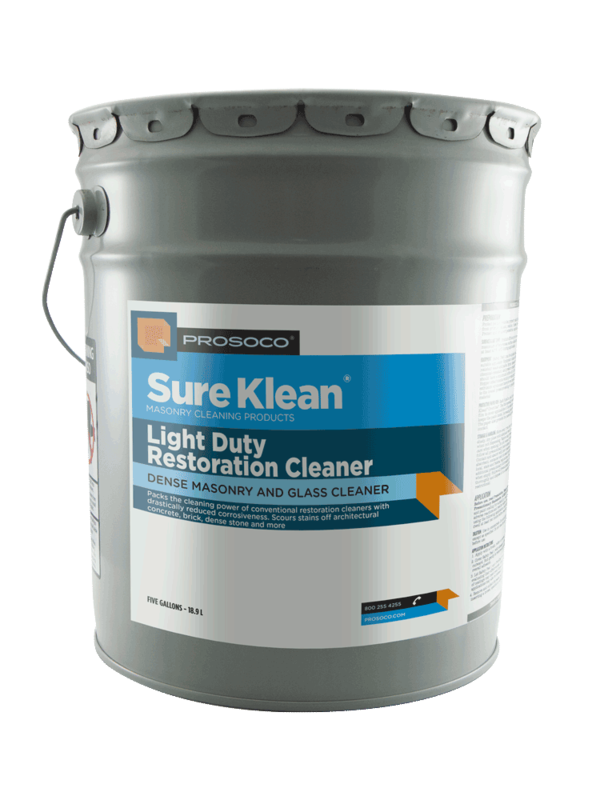 Light Duty Restoration Cleaner safely removes light to moderate atmospheric and oxidation staining from dense masonry surfaces and removes difficult calcium (concrete) stains, white scum and other staining from most window glass. 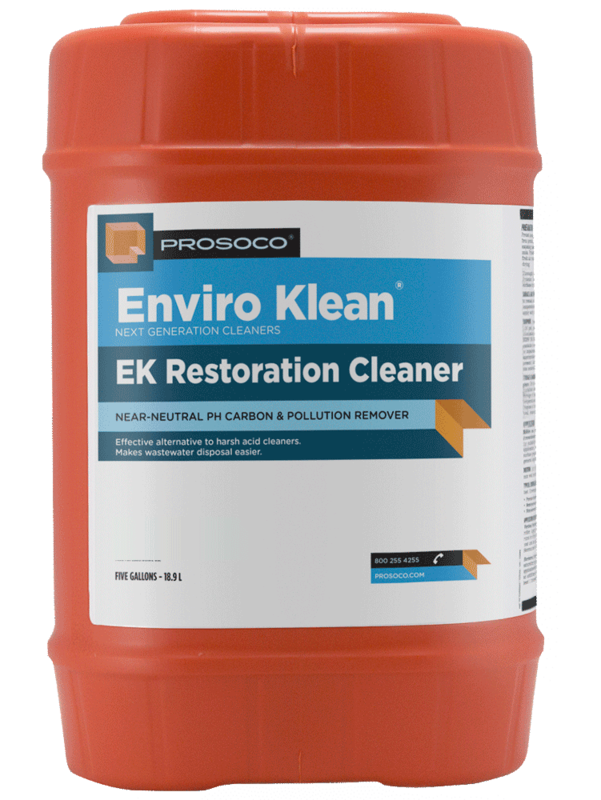 Compared to conventional acidic restoration cleaners, this highly efficient, gelled cleaner minimizes the potential for damage to unprotected non-masonry surfaces. Available at distributors nationwide. 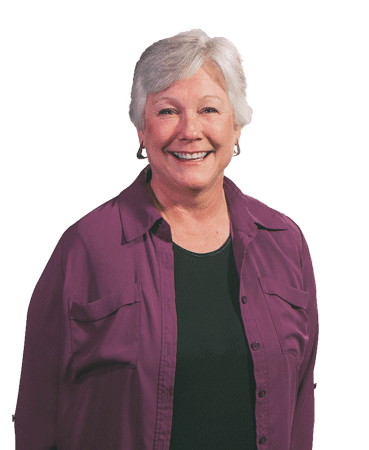 Call 888-216-3028. 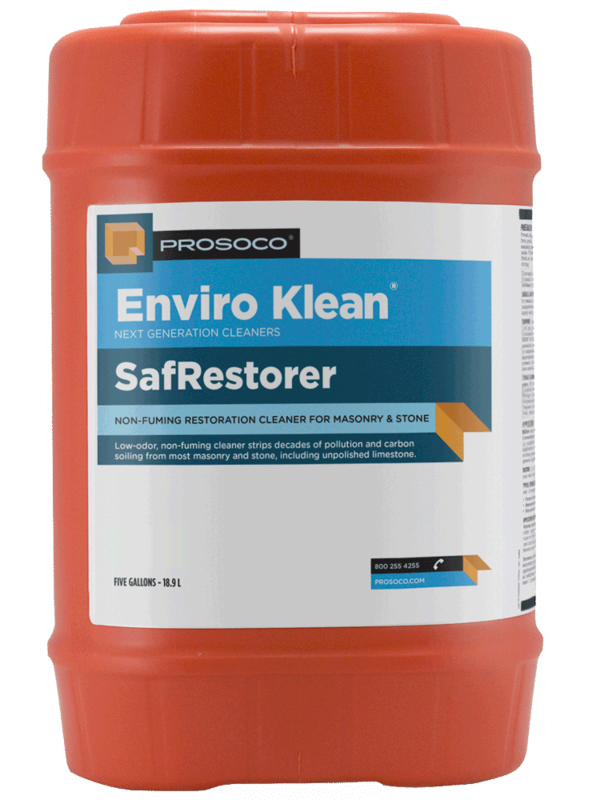 Highly efficient restoration cleaner for most dense masonry surfaces. Reduced potential for damage to adjacent or surrounding surfaces. 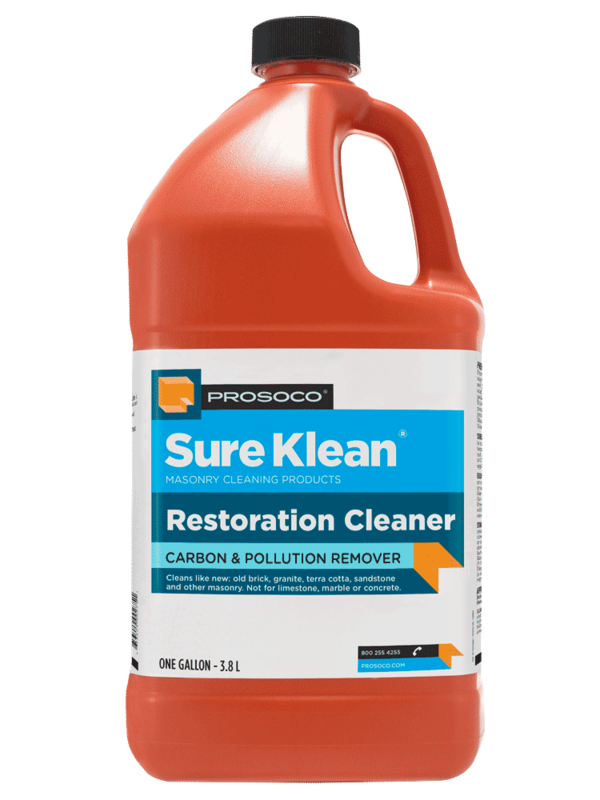 Safer, lower odor and less corrosive than conventional restoration cleaners based on hydrofluoric acid or ammonium bi-fluoride. Removes rust stains and red clay stains from brick. Restores clarity of most common flush window glass streaked and damaged by pollution and water rundown from adjacent building materials. COVERAGE RATE50-175 sq ft/gal. See Product Data Sheet for variations per substrate. Sure Klean® Light Duty Restoration Cleaner safely removes light to moderate atmospheric and oxidation staining from dense masonry surfaces. Removes difficult calcium (concrete) stains, white scum and other staining from most window glass. This highly efficient, gelled cleaner is a colorless blend of cleaning agents, detergents and inhibitors. Compared to conventional acidic restoration cleaners, the corrosive characteristics of Light Duty Restoration Cleaner have been dramatically reduced to minimize the potential for damage to unprotected non-masonry surfaces.